After last week’s “tiny house” column, my guilty secret is out. Not that I have a gigantic crush on Sam Elliot, which I’ve never tried to hide, but the fact that I sometimes kick back and veg out in front of HGTV. And I don’t just tune into “Tiny House Hunters.” Sometimes I watch “Flip or Flop” or “Property Brothers,” but my hands-down favorite is “Fixer Upper.” Because, like most of the rest of America, I’m crazy about Chip and Joanna Gaines. In watching these shows, I’ve noticed an interesting decorating trend. Not open floor plans or shiplap walls or loads of crown molding or enormous kitchen islands, even though all those things are incredibly in style. What amazes me is that it’s now fashionable to use backwards-facing books as accessories. Interior decorators are gathering up armloads of old books—beat-up hardbacks with no dust jacket—and putting them on shelves. 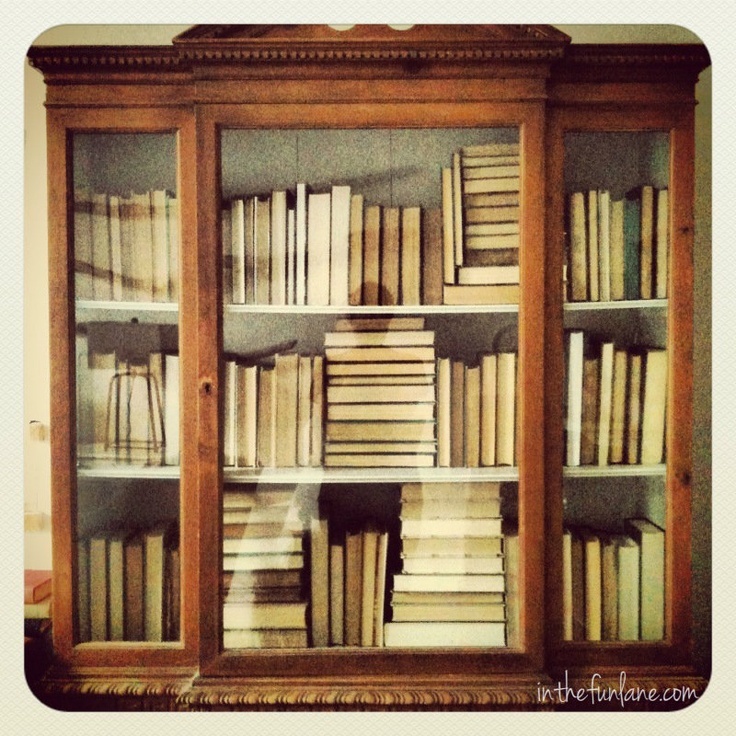 Sometimes the books are placed upright, like in a library. Sometimes they’re stacked one on top of another. But here’s the weird thing. They’re arranged so that the spine isn’t showing. That’s right. The guts of the book are what you see, meaning that you have no earthly idea what book it is. For me, there’s nothing more telling when visiting someone’s home for the first time than discovering what’s on their bookshelves. Family photos are fun. So are potted plants and mini-aquariums and souvenirs from Gatlinburg. But what I like looking at most are the books. Does my friend lean toward fiction or nonfiction? Which authors does he or she favor? Are there photography collections and poetry books on the shelves? As a former librarian, I also try to figure out how the books are organized. Dewey Decimal System? Library of Congress? By height and thickness? By color? (That, apparently, was the hot decorating trend until it was replaced by the current one.) Maybe the books are simply scattered about willy-nilly, something that—I must admit—makes me feel a little faint. In my own home, I have separate bookcases for fiction (arranged alphabetically by author’s last name, of course), nonfiction (grouped together by subject matter), and juvenile and young adult books. I have a shelf for books I’ve borrowed and will return to their owners once I’ve read them. And in my living room bookcase I have a special spot reserved for BOOKS THAT CHANGED MY LIFE, a topic that could–and probably someday will–fill several newspaper columns. Not one of the books in my house is turned so that you can’t read the title on the spine. If they were, how would friends who peruse my shelves know that I love Elizabeth Berg’s fiction? Or that I adore short stories by Ray Bradbury and Flannery O’Connor? That I still use an old-timey dictionary and thesaurus? That I’m into Tennessee history and Elvis? That three of Larry McMurtry’s novels are on my special shelf? As is “Charlotte’s Web,” much too significant a book to be consigned to the kids’ bookcase. I’m thinking I won’t be hiring a professional decorator to come over and turn my books around backwards anytime soon. Nor do I plan to get rid of my books so I can move to a tiny house. Not that I was really considering doing that. I’m not crazy about the idea of climbing a ladder to get in bed every night. Or of spitting toothpaste into the kitchen sink.